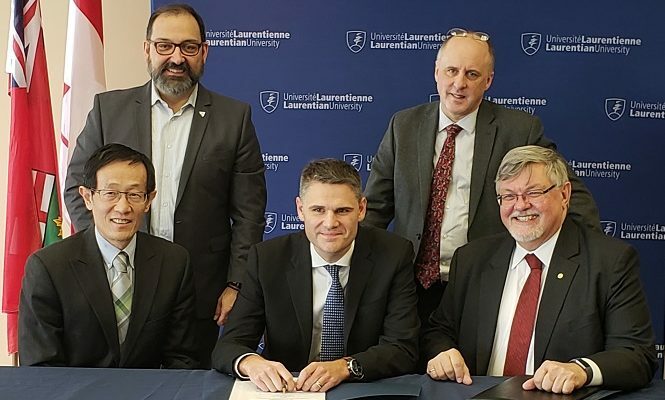 Bruce Power has signed a Memorandum of Understanding with MIRARCO Mining Innovation and Laurentian University in Sudbury. The five-year, $1 million agreement will enhance research opportunities, including the long-term potential for Small Modular Reactors to generate clean, low-cost and reliable electricity in rural and remote regions, mainly in Northern Ontario. These low-cost nuclear technologies could play a role in safely powering the most remote northern communities that don’t have adequate electrical grid infrastructure. The research agreement will create an Industrial Chair position at MIRARCO Mining Innovation, which will further highlight opportunities in sustainable and clean energy solutions in Ontario’s north, bringing an enhanced perspective to the university’s current research. Rencheck added this collaboration is a continuation of the work Bruce Power has already been doing in the area when it committed $5-million in 2016 to the Northern Ontario School of Medicine to conduct health research, specifically in relation to radiation and the environment.